After hours of debugging I found the cause of this issue. In your list definition file, confirm that you have only one view with the “DEFAULTVIEW=TRUE” attribute set. If you have multiple views with this attribute set, you will see an entry in the ViewLsts.aspx page for each view that you have specified as the Default. Imagine an IT organization where there are no rules or policies to control a user’s access to resources. Imagine users storing unlimited personal data on their corporate Storage Area Networks (SANs). Imagine searching for a HR policy and retrieving five different documents describing the same policy. Now, imagine your collaboration software platform is SharePoint and that you are responsible for leading the IT organization. What would be the first thing you do? How about setting policies and procedures? If you do, you have begun the journey towards successful SharePoint Governance. All of the myths listed above are far from the truth. The idea that Governance is suited only for large organizations probably arose from a traditional view of IT Governance where there was minimal end-user content generation and large monolithic software systems. 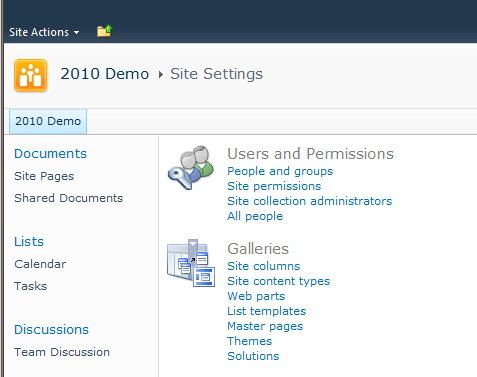 With SharePoint 2010, end-users can create and manage content without significant IT involvement. Therefore, Governance is a key requirement – even for medium-sized implementations. A well-governed SharePoint implementation provides an operational framework for the portal and increases user adoption by removing inconsistencies and environment barriers. Governance plans are developed collaboratively with IT & business stakeholders. These plans describe operational policies and procedures and are not just user manuals. 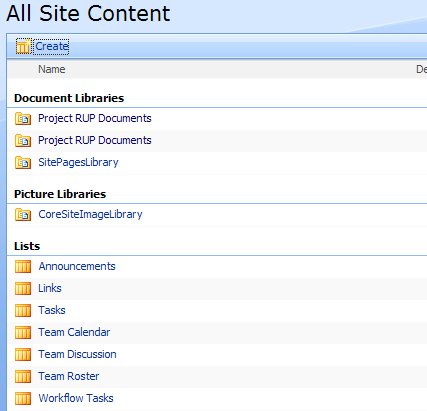 A good Governance plan enables the organization to achieve its short-term and long-term objectives with SharePoint. In this whitepaper, we will explore the various reasons for the emergence of Governance as a critical requirement for organizations implementing SharePoint 2010. We will also identify the key business and IT challenges around SharePoint Governance and analyze the new features in 2010 that will impact an organization’s Governance plan. If you had asked people to name some business buzzwords, Business Continuity Planning (BCP) would have rated as high as synergy, empowerment and paradigm shift on September 10th, 2001. The attack on the Twin towers and the subsequent destruction elevated Business Continuity Planning from a business buzzword to a pressing necessity overnight. TowerGroup, a research and advisory firm estimated the cost to replace technology after the September 11 attacks at $3.2 billion which included hardware, software and services1. Due to such high costs of recovery after a disaster, about one in five organizations never recover from a disaster and go out of business. Most businesses consider only natural disasters and terrorism as threats and dismiss them as highly improbable. On the contrary, surveys conducted by Forrester2 indicated that power failures, IT hardware failures and network failures account for 42%, 31% and 21% of business disruptions respectively. Terrorism was responsible only for 4% of disruptions and tornadoes and earthquakes came much lower on the list at 2% and 1% respectively. Almost all businesses maintain some form of documentation in file systems, on network shares or on in a document management repository like SharePoint. SharePoint’s strengths in document management and collaboration make it an ideal platform for sharing disaster recovery documents, emergency procedures and disseminating critical information throughout the organization. With an increasing number of users depending on SharePoint for performing their day to day jobs, business continuity planning for SharePoint becomes critical. In this whitepaper, we will explore the challenges and the steps to plan for business continuity for SharePoint. We will also explore some software solutions available from Microsoft that will help recover your SharePoint environment in case of a disaster. Recent Forrester research studies have indicated that 61%of all organizations are considering or are currently implementing Microsoft Office SharePoint Server (MOSS) for their enterprise portal needs. Coupled with the fact that almost 40% of IT projects fail for one reason or another, a strong foundation for your portal initiative is important to ensure a successful implementation. 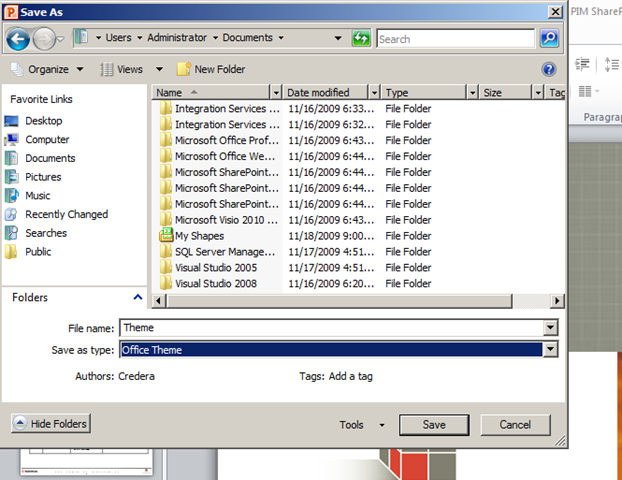 What is the minimum amount of hardware needed to deploy SharePoint? Will my SharePoint environment scale to support the business requirements? What is the optimum server topology to support my user base? What are the usage metrics that will require the business to add additional hardware? Capacity Planning targeted to your specific environment provides answers to these questions and helps in determining the environment needed for your SharePoint implementation. In this white paper, we will explore the various considerations for performing a Capacity Planning exercise and identify the components needed to determine your optimal infrastructure.